Biodanza, “The Dance of Life”, can be understood as a ‘dance’, or as movement full of meaning, organic, without choreography, spontaneous and natural. These dances, or experiences, are accompanied by carefully selected music, and have a symbolic meaning in our life and have within them the ability to change our ‘existential dance’. Biodanza is a system that is designed to explore and develop the expression of human potential through music, singing, movement, group communication exercises and integrated experiences. 50 years ago, in a psychiatric hospital at the Faculty of Medicine, University of Chile, a psychologist, anthropologist and poet discovered how certain rhythms influenced and improved the patient’s condition. From these origins, the Biodanza of Rolando Toro developed. Biodanza is a healthy discipline as it develops the big five ‘experience channels’: vitality, emotions, creativity, sexuality and transcendence. These five channels cover the whole spectrum of life and by paying attention to their development and expression we can enhance our level of health and integration. Biodanza is therapeutic because it helps us recover the sense of being alive, to find meaning in the simple joy of living. Inspired by the ‘Biocentric Principle’, that puts living at the centre of our existence, without analysing past conflicts and suffering, and to help bring about change in the individual. 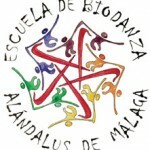 October 14 – 16: VI Biodanza Gathering – Al-Andaluz School in Malaga are organising the VI ‘gathering for the Cooperation and Exchange of Biodanza’ titled “The Poetry of human encounter.” This is a unique moment to dive into the ‘dance of life’, run by the best teachers in Europe and America. 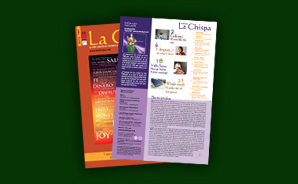 Conferences, Biodanza sessions and more in one unforgettable weekend. This entry was posted in Open Mind and tagged events, personal development, spirituality. Bookmark the permalink.